Pope Francis has stated that he expects bishops and pastors to have the smell of their sheep. 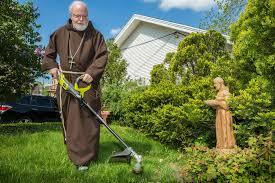 It seems that Cardinal Sean is trying to live up to that expectation. 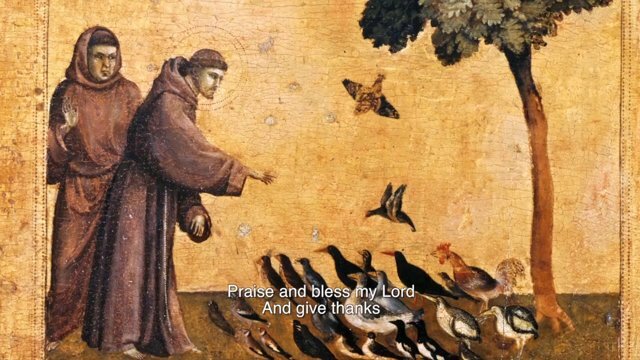 It is one of the reasons I have a great deal of respect for my fellow Franciscan. In the early 13th century, a tradesman is walking down a road in the Umbrian valley of Italy. He is bent over under the weight of the tools of his trade on his back. It is not just the weight on his back that bends him over; it is the weight on his soul. He is a God fearing man, he is a regular church attendee, he prays daily. Yet, he is afraid that he will never encounter Christ, he will never entire the Kingdom of God. He hears priests preaching that only those who enter the priesthood, those who are monks and nuns, sequestered in their monasteries and convents; will see the face of God. And people like him, no matter how hard they strive to live a holy life; will only see Christ after eons in purgatory, being cleansed of their sins. The tradesman heart suddenly is unburdened; he sees the world anew with hope filled eyes. 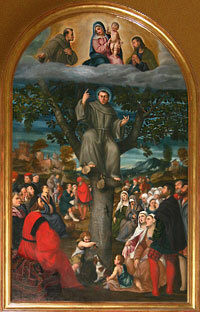 He hears church bells ringing; he sets off again down the road, towards the city of Assisi.